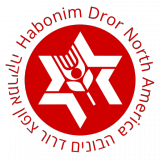 Each year, Winter Camp is Habonim Dror North America’s biggest gathering, filled with education and fun. This year, all movement members in 10th grade and older are invited. Come and join us! Click HERE to REGISTER TODAY for Winter Camp 2018! Click HERE to APPLY FOR SCHOLARSHIP! 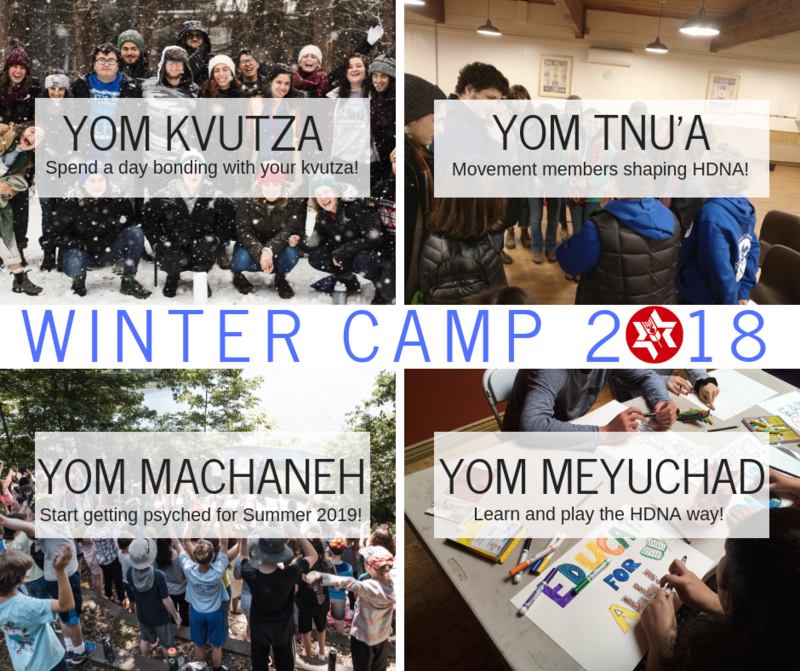 HDNA Winter Camp is a time to gather, discuss, and have fun with your friends from Habonim Dror! You will go through a collaborative educational process, meet with your national kvutza, prepare for the summer at machaneh, and take action on pressing issues in the movement and in society. We’ll do it all through the most creative learning methods, incorporating fun and magic into each day. For high school participants, Winter Camp includes our annual Bonimot Tzedek National Seminar. Bonimot Tzedek (Building Justice) is HDNA’s social justice and Jewish leadership program for high schoolers. High school HDNA leaders from around North America will gather to learn the ins and outs of social change, and decide together how to shape their local and movement-wide activism. What can you expect each day at Winter Camp 2018? Each day of Winter Camp has a special focus! We start with a day learning and bonding with our kvutzot (age groups). Then, we learn and play together during a themed Yom Meyuchad (Special Day), full of games, skits, and new knowledge! Yom Tnu’a gives us a chance to come together as movement members for a day of discussion and democracy. And during Yom Machaneh, we decide how we want to bring it all home to machaneh this summer! Through it all, we’ll pause for games and check-ins, and of course plenty of meaningful HDNA-style Shabbat activities, like a collaborative oneg and a night of rikkud ayam!